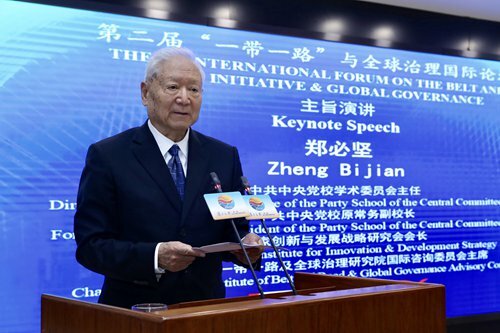 The second International Forum on the Belt and Road Initiative & Global Governance took place at Fudan University on Saturday and Sunday. 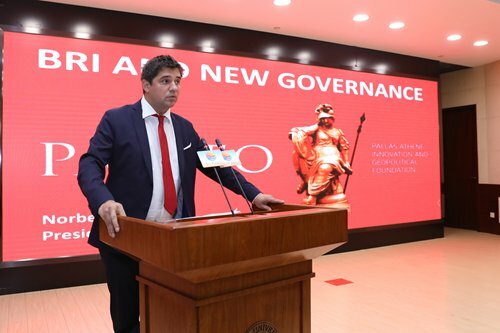 Co-hosted by the Silk Road Think Tank Association and Fudan University, the two-day forum assembled hundreds of foreign and domestic delegates from political, business and academic areas to explore new practices and ideas under the initiative. The event featured one major forum and 12 sub-forums for delegates to share their insights on various topics under the Belt and Road initiative (B&R), including international relations, international economics, international law, sociology, culture, media and regional studies in China. Over 40 delegates from 25 countries and regions attended the event. The forum released an abstract of the annual development report on B&R presented by Fudan Institute of Belt and Road & Global Governance. In the past year, Fudan University has made full use of its advantage after the Fudan Institute of Belt and Road & Global Governance was created in November 2017. 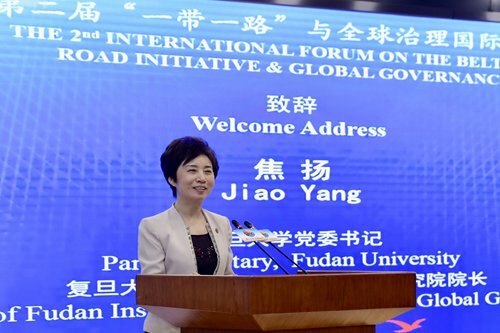 "After establishing the institute, we have been gathering excellent resources and conducting systematic research on the initiative and global governance together with other universities and research institutes," said Jiao Yang, chairman of the University Council, Fudan University, in her opening remarks. 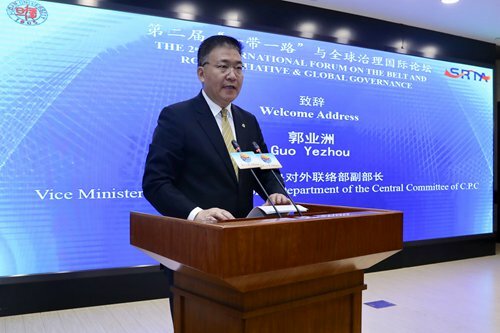 Guo Yezhou, vice minister of the International Department of the Central Committee of the Communist Party of China (CPC), pointed out in his opening speech that a key to the success and popularity of the B&R is that it is in accordance with the world's development and the trend of global governance. "We should further integrate the Belt and Road initiative and global governance in future collaborations," said Guo. Zheng Bijian, former executive vice president of Party School of the Central Committee of the CPC, delivered a presentation titled the Belt and Road Initiative and New Opportunities Facing China, in which he discussed the opportunities China is facing when it comes to building up a mega market in the world and the new round of economic globalization. He believes that the appeal of a common destiny and a common interest based on a mega market will bring huge development for the nation. International delegates also showed their support for the initiative. 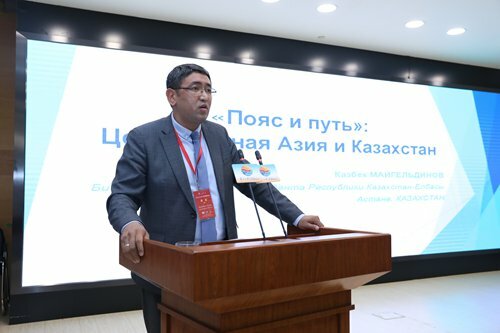 Maigeldinov Kazbek, director of Bureau of Strategic Research and Prediction, Presidential Library, Kazakhstan, said China has become an important trading partner in Central Asia. He said that Kazakhstan is looking forward to long-term economic cooperation with China with more regional projects and hopes to join hands with China in people to people exchange and educational cooperation. Csizmadia Norbert, president of the Board of Directors at Pallas Athene Geopolitical Foundation, Hungary, believes the B&R is the "new heartland of the world." "The Belt and Road initiative is the road of peace, the road of prosperity, the road of openness, road of innovation and education and the road of civilization for hundreds and hundreds years," he said. During the forum, 13 schools of international relations and international affairs from home and aboard formed an alliance. More members are expected to join. "I believe that universities and institutions of higher education are going to enter into big play," said Jiao. 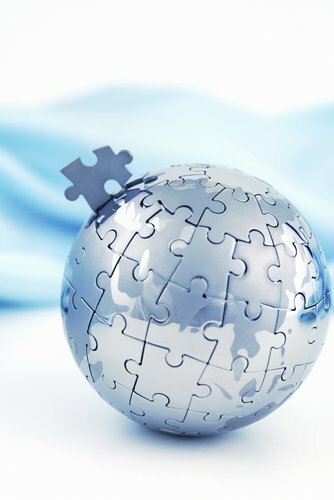 Over the past year, Fudan Institute of Belt and Road & Global Governance has published over 40 academic essays and three publications, received 28 visiting scholars from 19 countries and regions and set up a collaborative relationship with over 60 think tanks related to the initiative, said Jiao. Based on academic research on the B&R in the past year, the institute released an abstract of its first annual development report on the initiative during the forum. The entire report is expected to be released at the end of 2018. With one major report and 10 sub-reports, the report reviews the development of the initiative in various realms and regions and gives proposals for its further development.